Principal Secretary to Edo State Governor Adams Oshiomole has been shot and killed by unknown gunmen. Oyerinde Olaitan, who was also the governor’s Special Adviser was reportedly attacked by four gunmen who broke into his residence in Ugbor GRA, Benin City last night. 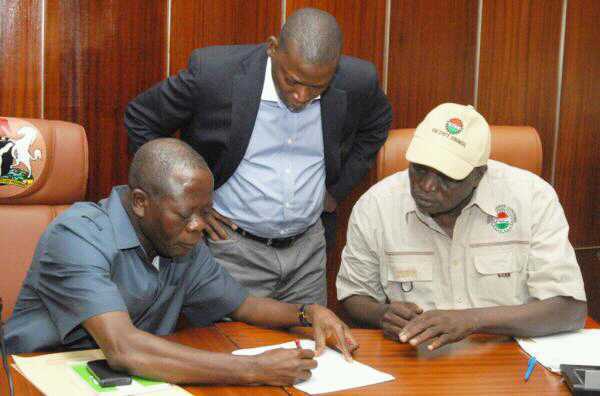 This comes barely a week after Governor Oshiomole was involved in a motor accident which left a number of people dead. The governor had claimed that the accident was a deliberate attempt on his life by rival politicians.